Do you believe a blog is important for your company? If you said no it wouldn’t be a big surprise. Chances are most businesses wouldn’t think so. For example, according to research by Socialtext released in December of 2009 only 15.8% of the Fortune 500 companies are blogging. If you’re a Fortune 500 company then you probably don’t have to worry about it. If not, you’re likely hungry for more business so you may want to reconsider. Why, you ask? An interesting study from HubSpot came out in January of 2010. HubSpot looked at 2,300 of their customers and found a trend. 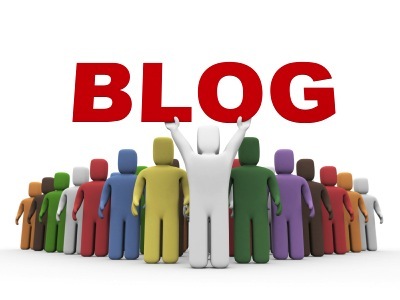 Businesses that were actively blogging had 126% more monthly leads than non blogging companies. Yes, 126% more monthly leads. On average the non blogging companies did grow their leads by 73% but the blogging businesses saw their lead growth shoot up 165%. According to HubSpot this statistic is relevant regardless of the blogging platform. You may argue that this study doesn’t prove blogs are the one and only reason for this. I would argue the same. But, it does hint that companies who are actively marketing themselves through social media avenues seem to be generating more leads and gaining more exposure. So there you have it. One reason why your company should be blogging: improved lead generation. Now should be a good time to plan and execute your company’s new blogging and social marketing campaign. What do you think? This entry was posted in Business, Social Media Marketing and tagged blog, blogging, Business, business growth, business marketing, hubspot, lead generation, social marketing, socialtext on July 15, 2010 by Shane.